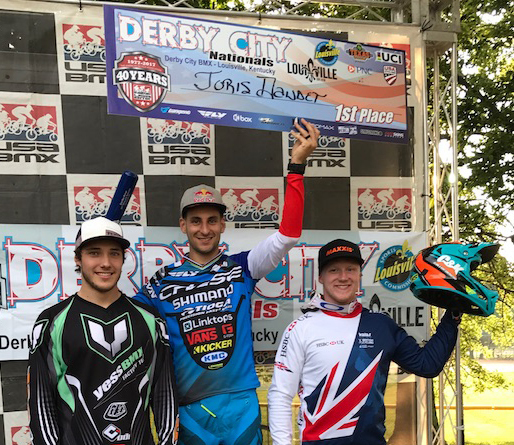 Joris wins again at USA BMX Derby City Nationals ! Round 9 of the 2017 USA BMX Pro Series took the Pro riders to the legendary Louisville, KY BMX track at the EP Tom Saywer Park, home of the past NBL Grand Nationals. This track has been a staple on the BMX Pro tour for 30 years, and for the last 2, has been updated with a 8 Meter SX style hill, as well as a 5 meter hill next to it. Rain has always been a deterrent in Louisville and this year it was a major factor at the event. Friday, was to be day 1 for the AA Pros to race, but due to 20 hours straight of rain and wind, the race was canceled. 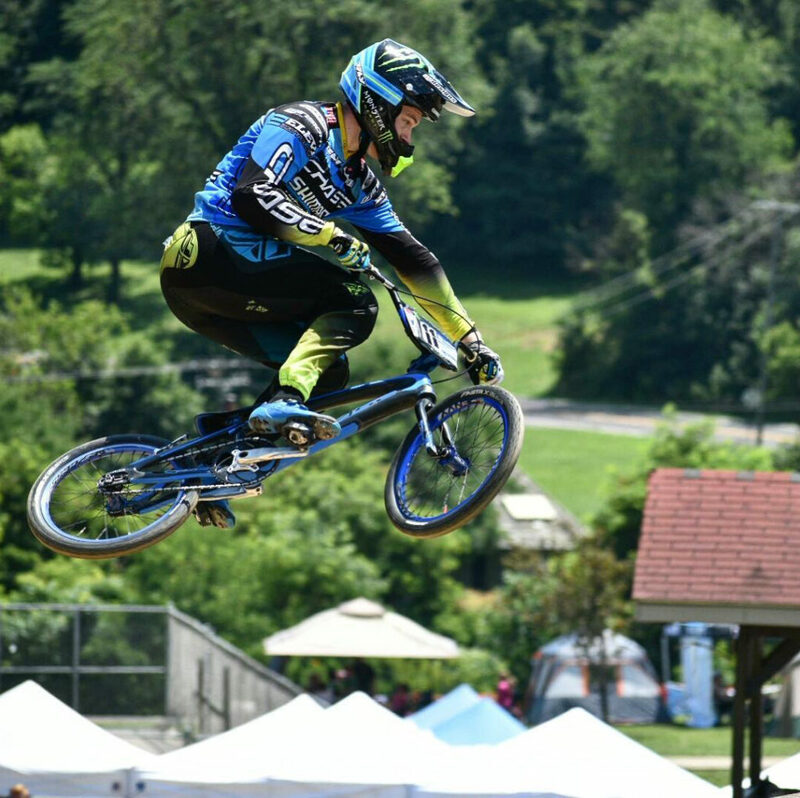 So the pros would hit the Derby City track for all the money and points on Saturday, and the Chase duo of Joris Daudet and Connor Fields were both looking for another win, trying to head into the final events of the 2017 season with a clear lead over the rest of the Pros looking for a 2017 USA BMX #1 Pro Title. 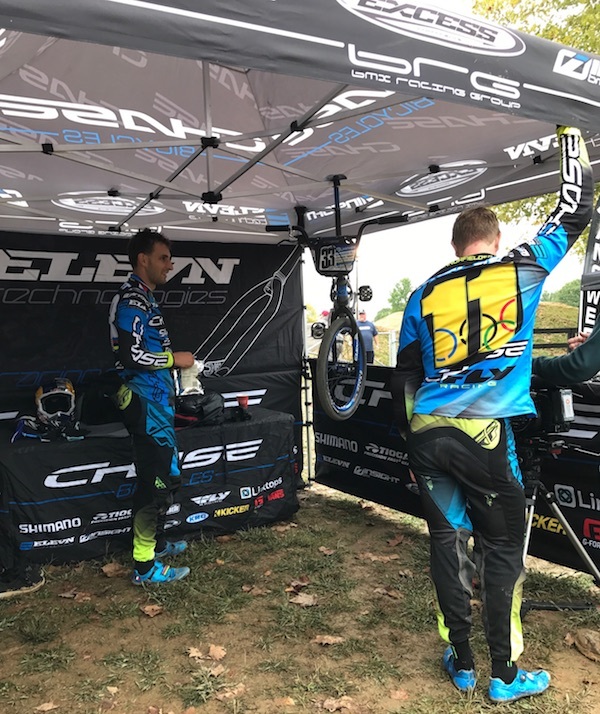 Waiting around on weather is never fun at a BMX race, but the Chase Pros made the best of the down time with meeting fans and getting ready for the days event. Once the day kicked off, it was clear that Joris and Connor would continue their great streak of riding, as both would easily make there way through qualifying and into the main event. When Joris and Connor would line up for the gate drop, it would be Joris this time to take the hole shot and the lead into turn number 1. Connor was stuck on the outside of turn one and that all about erased his chance of a podium finish. Joris would go on to lead the entire lap and take the win. This is Joris 7th win of the season, putting him ahead of Connor for the overall USA BMX #1 Pro points tally. Joris will now have a few weeks break to get ready for the next round of the USA BMX series, while Connor will head to Argentina in 10 days for the finals of the UCI BMX World Cup. 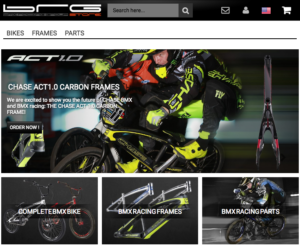 Chase BMX is proud to have some of the best sponsors in BMX – Thanks as always for the support to our sponsors and the great fans an riders who ride and support the Chase BMX Brand.